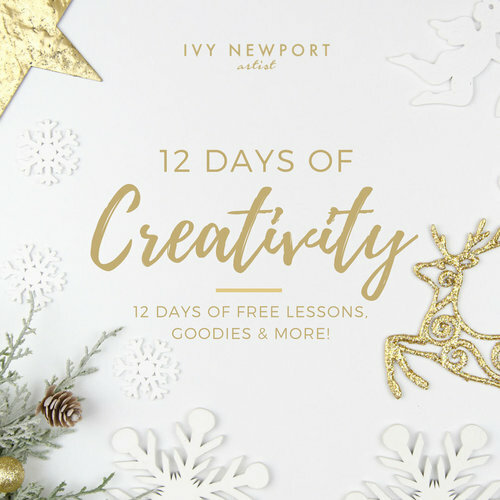 Hello lovely blog readers, I’m so delighted to announce that we will be delivering 12 Days of Creativity to our wonderful subscribers beginning on Dec. 12th! YES, that's tomorrow! This will be a 12 Day FREE email gift where you will get one email a day from me - chock full of creative inspiration! It might be a free lesson from me, a video chat regarding my favorite materials, tips and tricks, creative resources and MORE. PLUS, each day we will be featuring classes at special holiday prices! I would to have you join me for this special holiday program! BE SURE TO SIGN UP HERE AND JOIN THE FUN!